Some people collect photographs or records. Figurines or stamps. Coins or antiques. Although I’m personally a fan of antiques, old postcards and good music, some of my most cherished collections are memories. You can see them in the picture here. 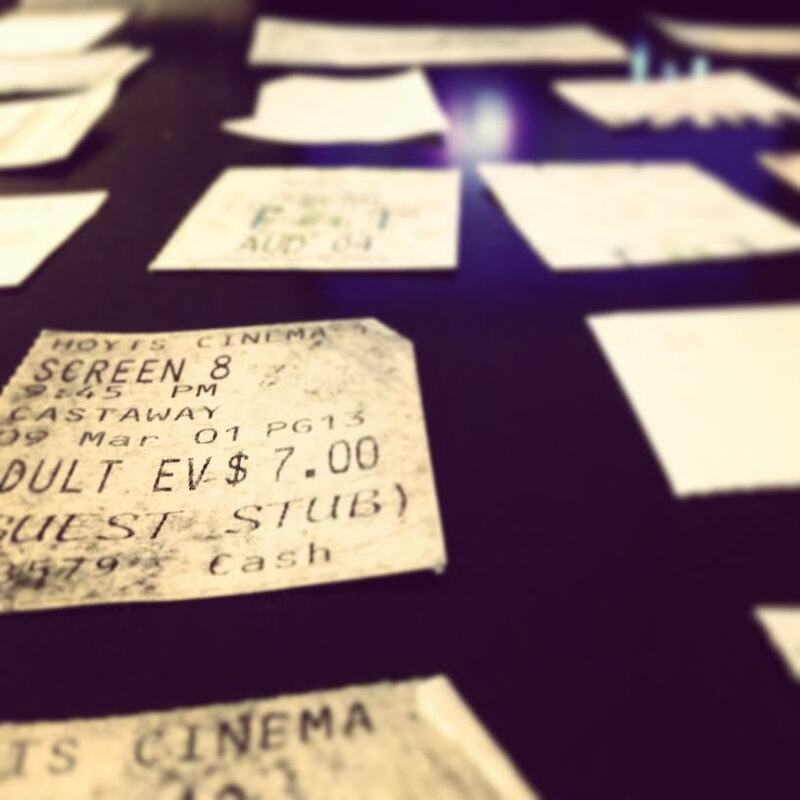 Yes – I know they’re ticket stubs. Little pieces of paper creased by time spent in my wallet, or faded by time spent in a drawer, a book or my bible. The last time I saw Delirious live. The birthday present concert-slash-road trip to Tyler from my sister. The time my mom and I got to experience PBS’s Antiques Roadshow. Taking my other sister to the movies. Or the New Years Eve Symphony performance where I sat with my wife. Only, I didn’t yet know she’d be my wife. Ticket stubs. They’re not pretty, they’re not beautiful to look upon, or a creators greatest masterpiece. But it’s not the paper itself that holds the value. It’s where the paper takes me, it’s the stories the paper tells, it’s what the paper reminds me of, and its the hope these memories bring. Memories of great experiences, of laughter and joy. Memories of moments that moved me to tears, or brought me to my knees in worship. Memories woven together with hope. Hope, because I am reminded how beautiful my life is. Hope, because I know I serve a God who loves me. Hope. Because He left a book of memories, of stories, of hope, for my wife and I. For our families. For our futures. Hope, because we’re not alone. And hope, because even when we face a mountain, we stand beside the mountain maker.